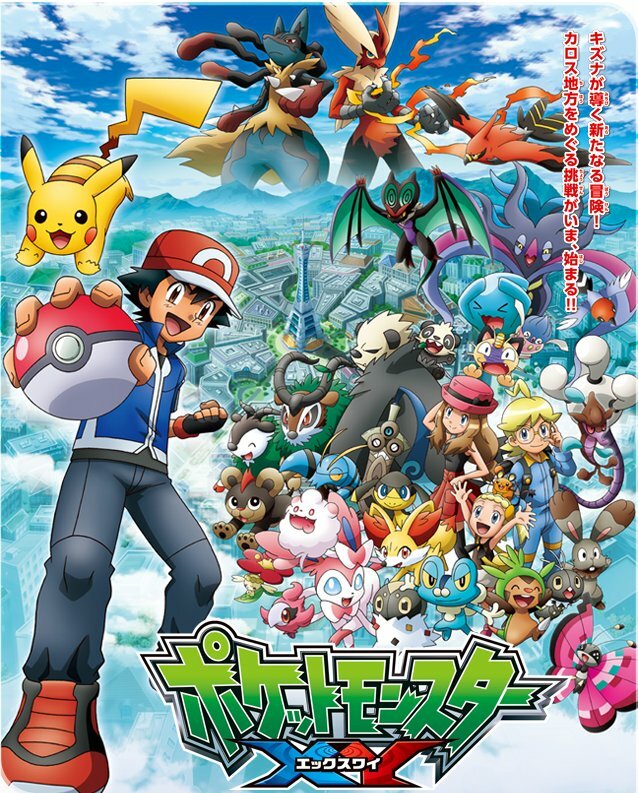 Discussion in 'Pokémon Anime' started by May, Sep 19, 2013. Like we can see in the video, Serena is a girl from Kalos and seems to know Ash (maybe they are childhood friends?). Clemont is a gym leader who loves inventing and has a robot arm called "Aipom Arm". Bonnie (the sister of Clemont) is trying to find a wife for his brother and for now isn't a trainer (like Max in Advance Generation). Professor Sycamore will give a starter Pokémon to the new trainers and Team Rocket will be present. In the artworks we can see that Officer Jenny has a new design. The new japanes opening is called Ｖ（ボルト） (Volt) and the ending is called Ｘ海峡Ｙ景色 (X Strait Y Scenery).